The fourth-annual Chocolate Walk was held Saturday in downtown Washington Court House with 30 businesses participating by giving out a chocolate treat throughout the afternoon. Huck Jacobs performed outside Indigo Roots Studio on Saturday for a group of Chocolate Walk patrons. https://www.recordherald.com/wp-content/uploads/sites/27/2019/04/web1_20190413_120211.jpgThe fourth-annual Chocolate Walk was held Saturday in downtown Washington Court House with 30 businesses participating by giving out a chocolate treat throughout the afternoon. 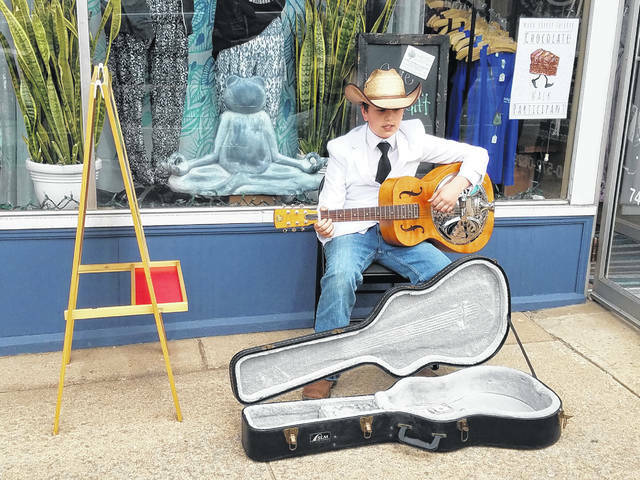 Huck Jacobs performed outside Indigo Roots Studio on Saturday for a group of Chocolate Walk patrons.